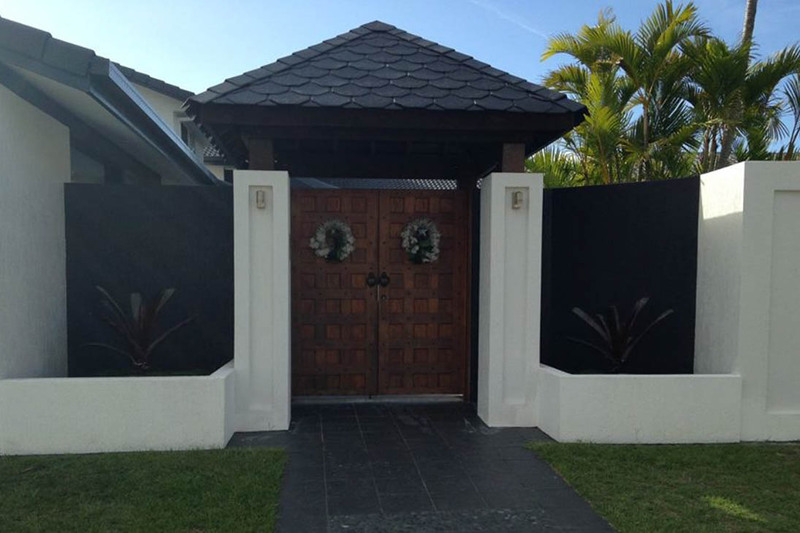 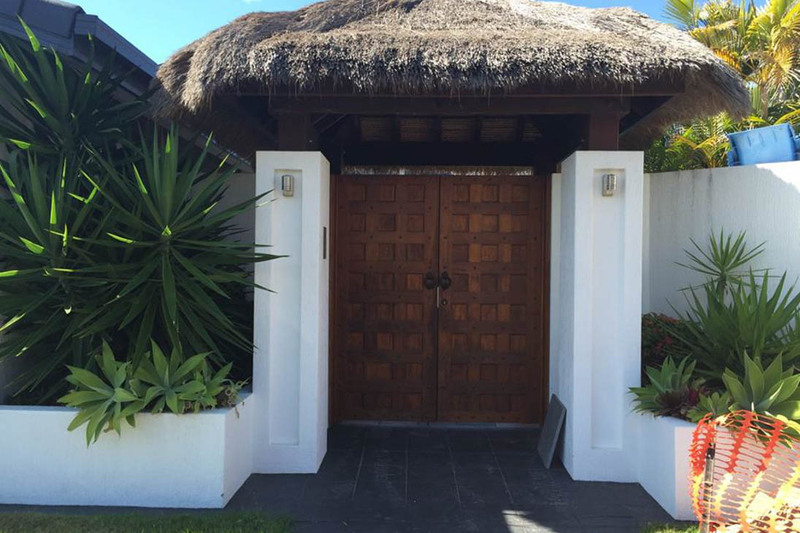 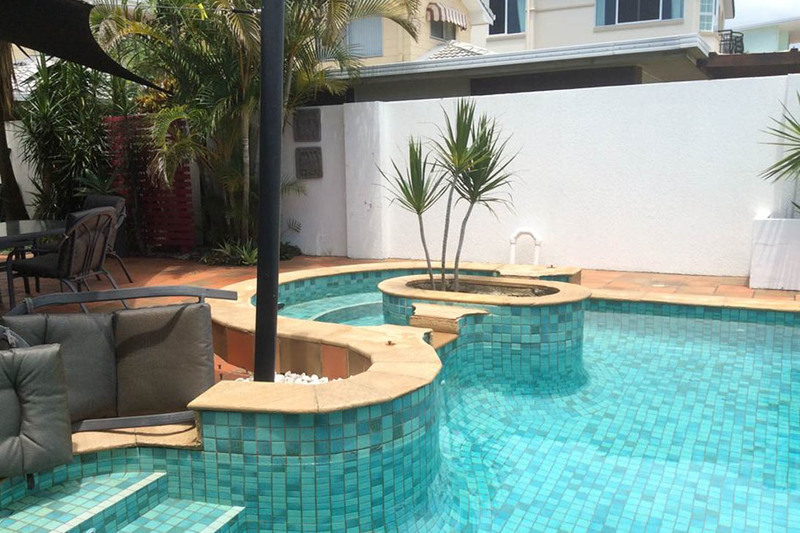 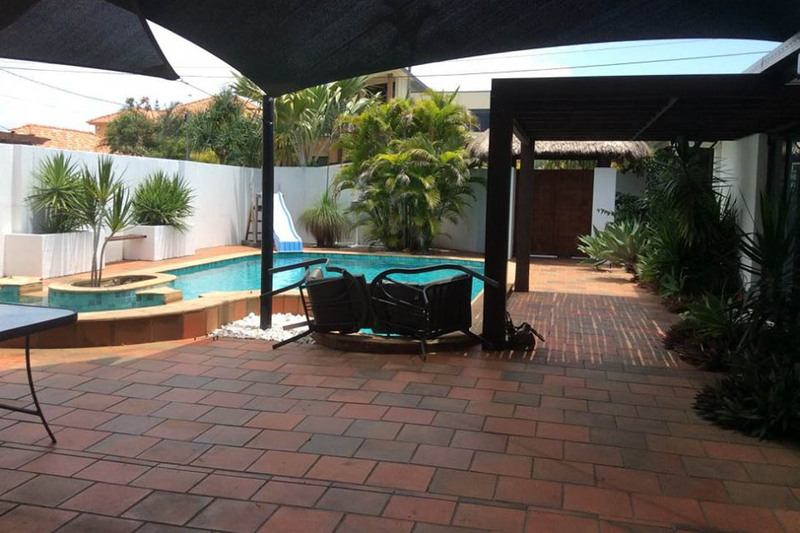 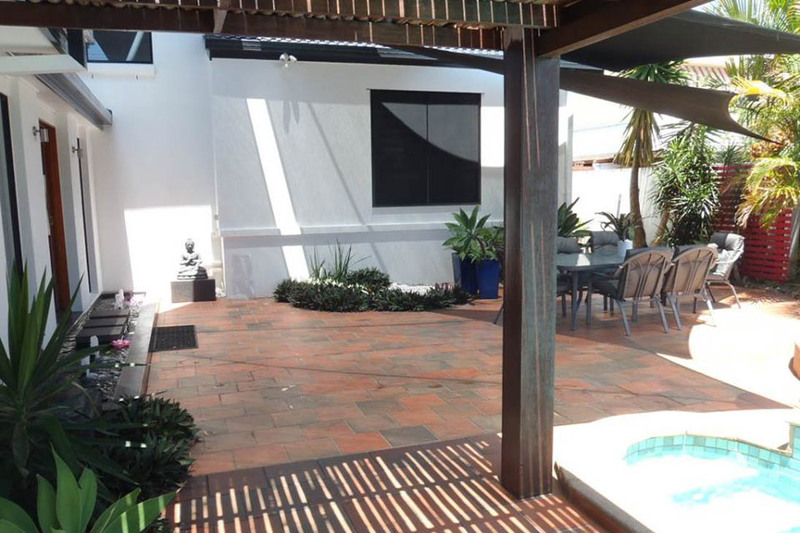 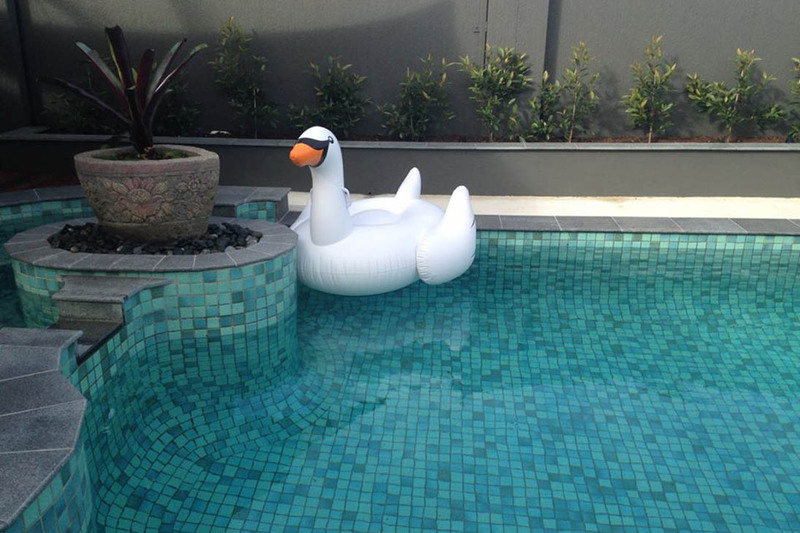 This newly renovated home situated in Broadbeach Waters had an old pool and paved area that needed a serious redesign. 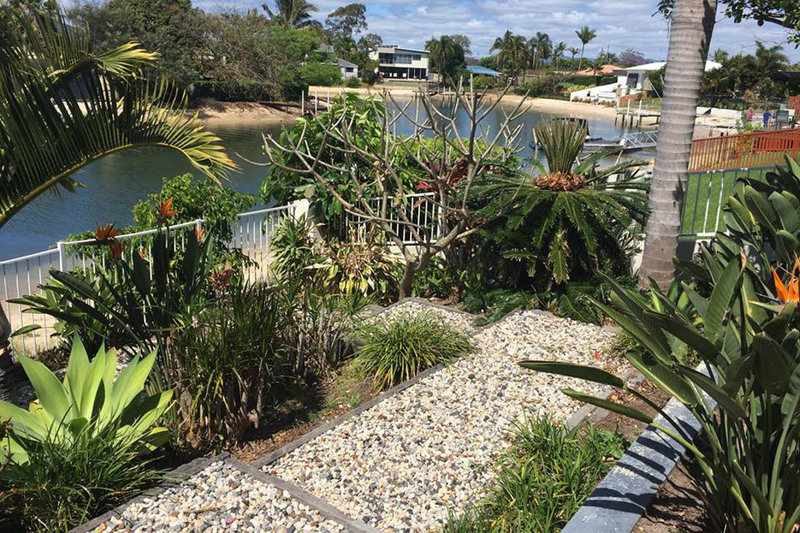 Check out the end result of this landscape transformation from new gatehouse entry, transformed pool-side living and updated gardens. 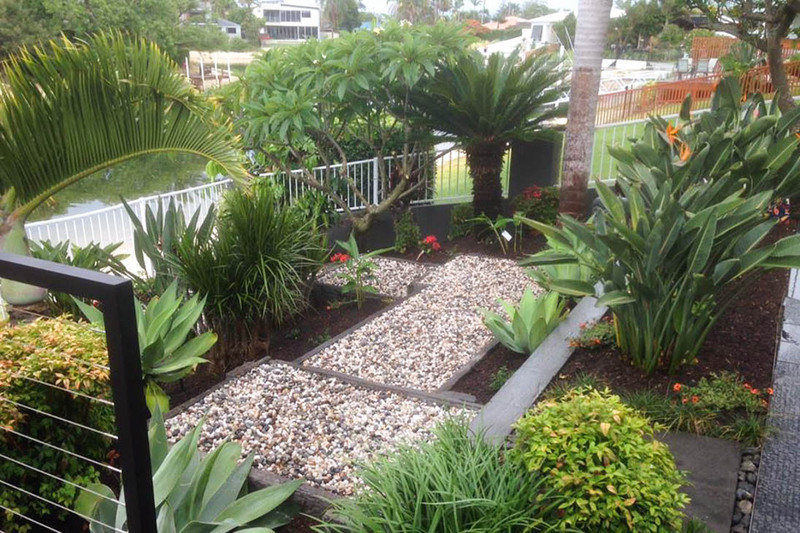 Grotec’s Design team together with one of their clever landscape construction partners transformed a large unused outdoor space together with dated and tired pool into the perfect place for family fun and entertaining at the Broadbeach Waters landscaping project. 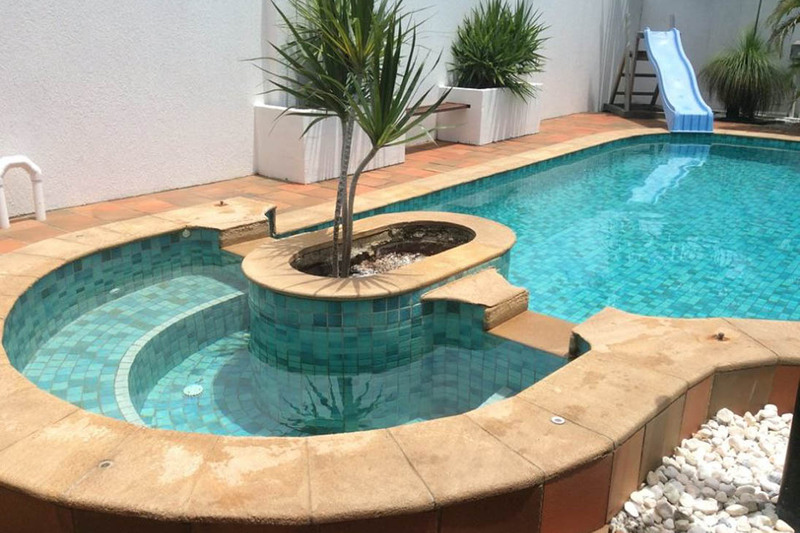 The scope of works included redesigning the gatehouse entry and unfenced, tired looking pool area which was coped and surrounded by old dated terracotta tiles. 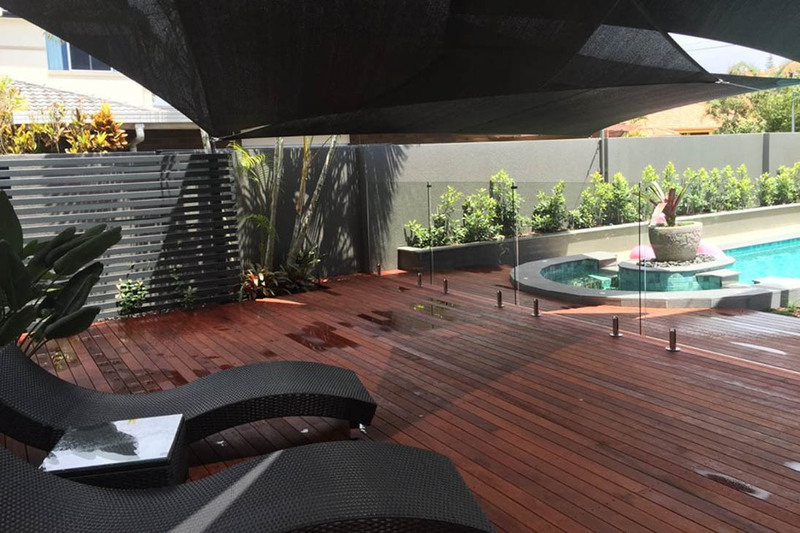 A new bathroom extension that overlooked the pool featured a small awkward shaped window that sat uncomfortably in the space and was in need of some screening. 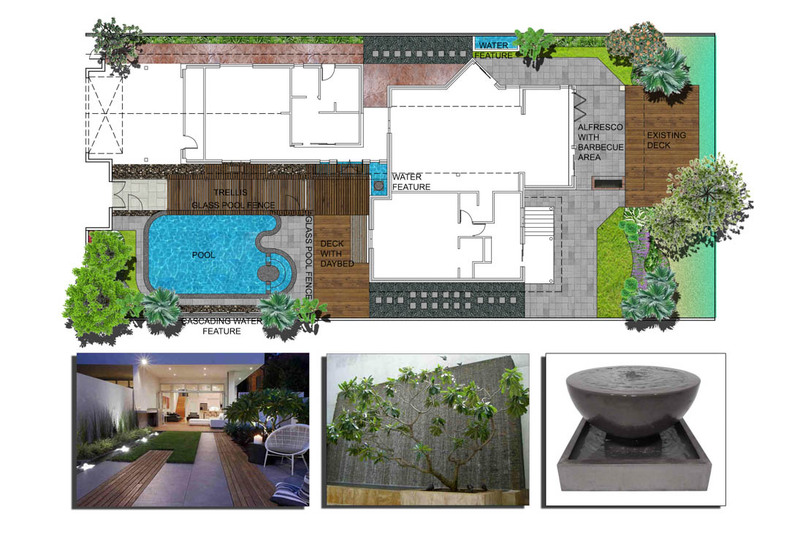 A hot and exposed but spacious paved area adjoining the pool was never used and needed a rethink to blend it into a new and inviting design scheme that could be used and enjoyed year round. 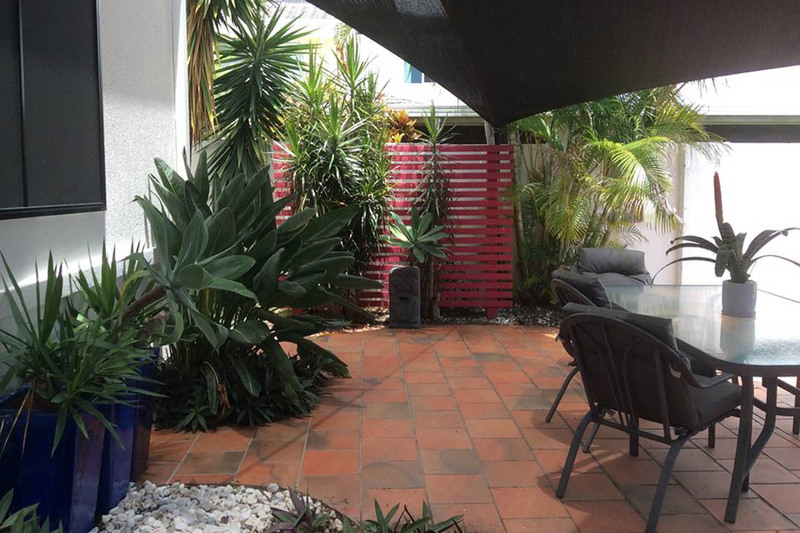 Our Broadbeach Waters landscaping design plans transformed the large unused space into a raised deck complete with shade sails. 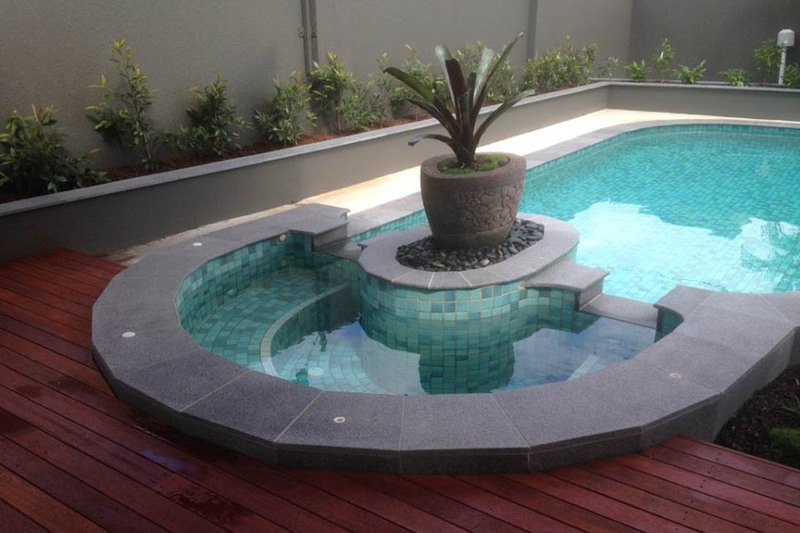 Granite tiles were introduced into the gate entry and pool area and the finished surface level was raised up to the pool coping height harmoniously blending the entire area into one seamless space. 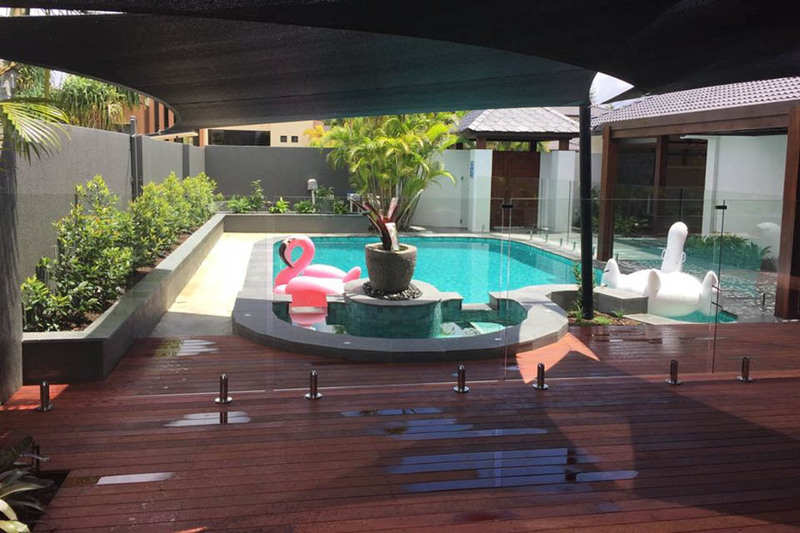 Frame-less glass pool fencing was installed to secure the pool and separate the entry walkway to front door. 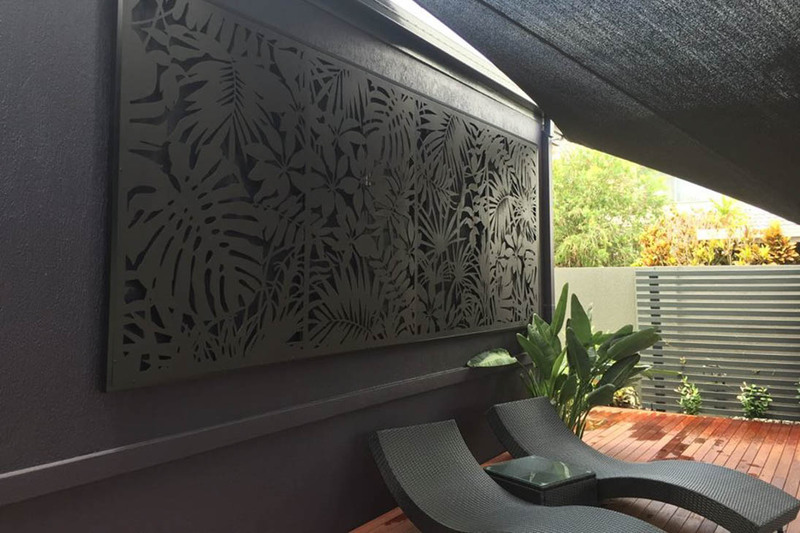 Raised block rendered garden beds were built along the fence line to accommodate a tall low maintenance screening hedge and that awkward window overlooking the pool area was covered with a large laser cut screen. 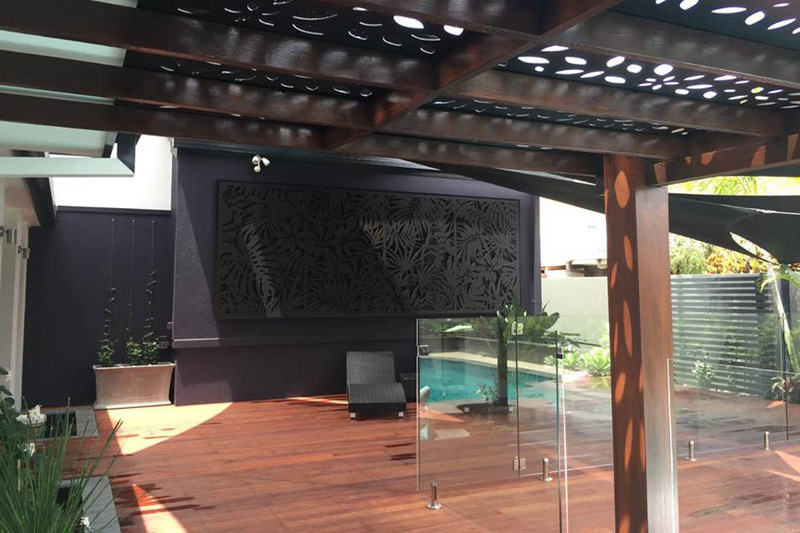 Two other laser cut screens were used in the area and replaced the decaying timber roof of the pergola and another separated the gatehouse and open garage. 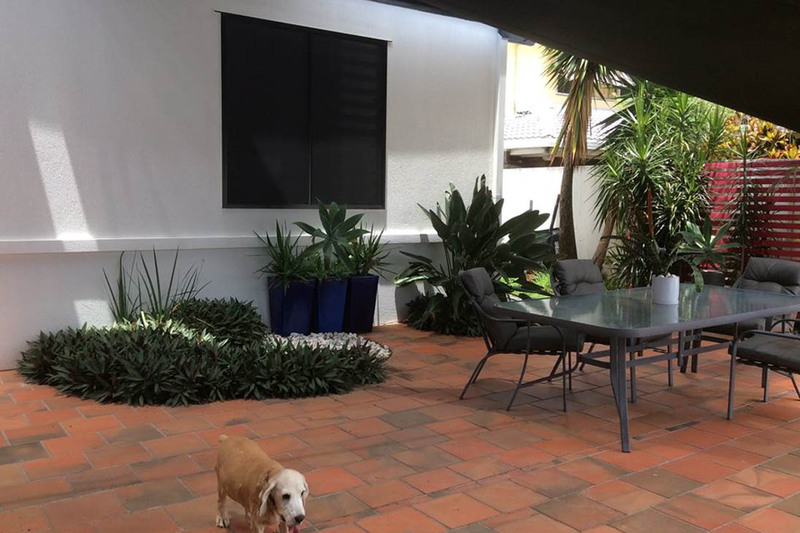 An taupe colour was selected and painted onto the bathroom extension wall of the house which was then reflected throughout the gardens by the Rhoeo succulents and Gingers used in the new planting scheme in this area. Existing gardens around the home were updated and refurbished.